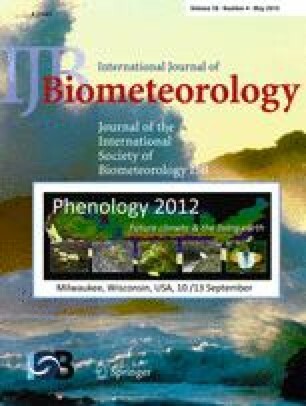 Natural resource professionals in the United States recognize that climate-induced changes in phenology can substantially affect resource management. This is reflected in national climate change response plans recently released by major resource agencies. However, managers on-the-ground are often unclear about how to use phenological information to inform their management practices. Until recently, this was at least partially due to the lack of broad-based, standardized phenology data collection across taxa and geographic regions. Such efforts are now underway, albeit in very early stages. Nonetheless, a major hurdle still exists: phenology-linked climate change research has focused more on describing broad ecological changes rather than making direct connections to local to regional management concerns. To help researchers better design relevant research for use in conservation and management decision-making processes, we describe phenology-related research topics that facilitate “actionable” science. Examples include research on evolution and phenotypic plasticity related to vulnerability, the demographic consequences of trophic mismatch, the role of invasive species, and building robust ecological forecast models. Such efforts will increase phenology literacy among on-the-ground resource managers and provide information relevant for short- and long-term decision-making, particularly as related to climate response planning and implementing climate-informed monitoring in the context of adaptive management. In sum, we argue that phenological information is a crucial component of the resource management toolbox that facilitates identification and evaluation of strategies that will reduce the vulnerability of natural systems to climate change. Management-savvy researchers can play an important role in reaching this goal. We thank Jake Weltzin, David Inouye, Alyssa Rosemartin, David Moore, and two anonymous reviewers for insightful comments on an earlier version of this manuscript. The findings and conclusions in this report are those of the authors and do not necessarily represent the views of their respective funding agencies and organizations. Cahill AE, Aiello-Lammens ME, Fisher-Reid MC, Hua X, Karanewsky CJ, Yeong Ryu H, Sbeglia GC, Spagnolo F, Waldron JB, Warsi O, Wiens JJ (2012) How does climate change cause extinction? Proceedings of the Royal Society B: Biological Sciences 280 online early doi: 10.1098/rspb.2012.1890. USDA Forest Service (USFS) (2009) Forest Service Global Change Research Strategy, 2009–2019. http://www.fs.fed.us/climatechange/documents/global-change-strategy.pdf. Accessed 29 November 2012. US Environmental Protection Agency (EPA) (2012) Climate Change Indicators in the United States. http://epa.gov/climatechange/pdfs/climateindicators-full.pdf. Accessed 29 November 2012. US Fish and Wildlife Service (USFWS) (2010) Rising to the Urgent Challenge: Strategic Plan for Responding to Accelerating Climate Change. September 2010. http://www.fws.gov/home/climatechange/pdf/CCStrategicPlan.pdf. Accessed 29 November 2012. US National Park Service (NPS) (2010) National Park Service Climate Change Response Strategy. September 2010. Fort Collins, Colorado. http://www.nature.nps.gov/climatechange/docs/NPS_CCRS.pdf. Accessed 29 November 2012.